Ego, in this case, is not an exaggerated sense of self-importance but the use of “fleshly” knowledge and “human” effort to accomplish God’s purpose. This is often the case with believers who endeavor to live righteous and holy lives in their own power. Some people attempt to do this by “works”—they visit the sick, feed the hungry, and do all the things they think will please the Lord. Others become “masters of the spiritual disciplines”—they read their Bible every day, fast and pray, and tithe their ten percent. Regardless of their approach, they often “miss the mark” as they use their fleshly methods to create spiritual outcomes. This was true of Paul, as he attempted to live holy by operating out of his flesh. Interestingly the pronoun “I”, in the passage above, in Greek is translated “ego.” Paul’s failure was not due to lack of works or poor self-discipline; nor was it the result of a poor attitude or “stinking thinking.” There were two culprits responsible for his struggle. The first was his ego—Paul attempted to handle sin in his own strength. His best efforts only resulted in frustration. The second perpetrator was “indwelling sin”—the unwanted tenacity of sin left in Paul’s unregenerate flesh (Gal.5:17). What was the best solution for Paul’s dilemma? “Let go the ego!” Paul’s struggle ended when he let go and turned to the power within, God the Spirit (Rom. 7:24-25). As believers, we will be frequently faced with the struggle of sin. While Christ has delivered us from the penalty of sin (justification) and the power of sin (sanctification), we are yet awaiting to be fully delivered from the presence of sin (glorification). Sin’s presence will be experienced as long as we live in this fallen world and reside in unregenerate flesh. How then are we to live victoriously? Let go the ego and let God! 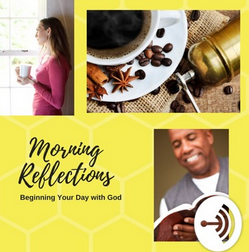 This week’s response activity will focus on your experience with Christian contemplation. Christian contemplation are those activities that “create emotional and spiritual space” for intimacy with God. The intent of contemplation is “fixing our eye on God”–His Word, His way, or His works. It has been my prayer that in practicing these disciplines of contemplation, you have begun to deepen your experience with God. Did you experience God in this discipline? If not, then why not. What did you learn about God? The Father, the Son, and/or the Holy Ghost specifically. What did you learn about yourself? Your fears, your faith, your purpose. How will your life change as a result of experiencing God?